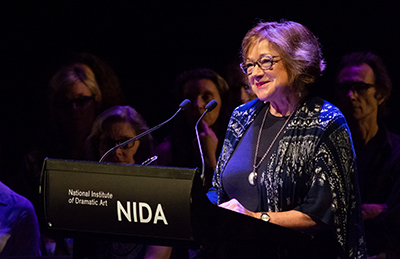 On a historic day, the National Institute of Dramatic Art (NIDA) proudly welcomed a new cohort of students for its 60th year. 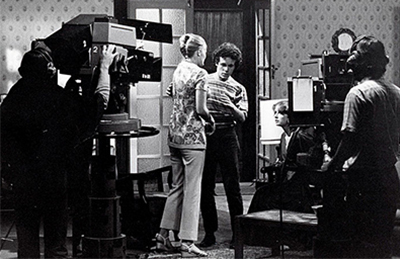 Below: NIDA students in acting and production in 1979. 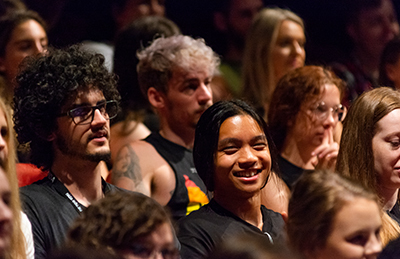 The energy was palpable throughout NIDA’s Nancy Fairfax Foyer, as fresh faces and returning Master of Fine Arts, Bachelor of Fine Arts and Vocational Diploma students arrived to begin the next stage of their dramatic arts training. 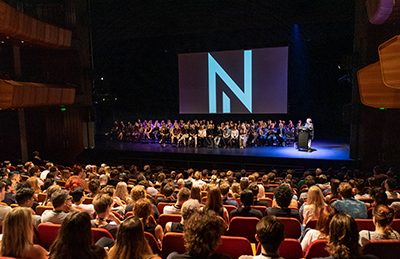 At a special all-school meeting NIDA Executive Chairman Jennifer Bott AO was joined on the stage of the Parade Theatre by academic and administrative staff, special guest and award-winning Australian director Tim Jones, and President of NIDA’s student council (SCON) and second year BFA (Acting) student Rebecca Attanasio to mark the start of the academic year. The proceedings commenced with Dr Peter Yanada McKenzie welcoming the students to Bedegal land on behalf of the elders of the Saltwater Aboriginal Community of La Perouse. NIDA attracts students from all over Australia and the world, with many students relocating to Sydney to access education at the celebrated institute. 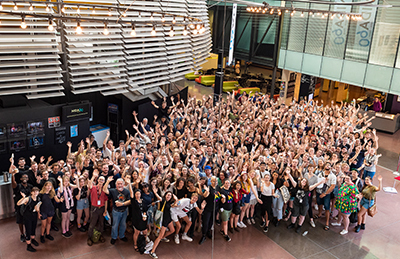 These onboarding students are now part of the 60-year-old legacy of teachers, performers, designers, writers, producers and directors who have experienced NIDA, which began in 1959. ‘Your capacity as professionals to develop empathy in audiences, to show what it is to be “the other”, is one of the most powerful things you will learn to do to make this world and our community a safer and better place,’ said Bott. Special guest and NIDA alumnus Tim Jones, Director/General Manager of the Seymour Centre and former Artistic Director/CEO of Australian Theatre for Young People (ATYP), delivered an inspiring address to the students. 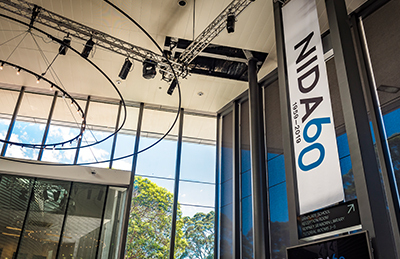 Above top: NIDA celebrates its 60th anniversary. Rhyanna Martinussen, first year BFA (Properties and Objects) student said: ‘I’m here from Melbourne, and moved to Sydney to be here. I love building things and I’m so excited to be here to start this course.’ Rachel Hallett, also in first year, BFA (Properties and Objects), has moved from her home in Toowoomba, Queensland, to Sydney to start the course. For a complete transcript of Tim Jones's address to NIDA students, please visit here. NIDA has developed a program of events to celebrate 60 years of delivering excellence in dramatic arts education, with the first event, In Conversation: Love is Love, on 14 February. For more information, please visit nida.edu.au/love-is-love. Born and raised in Sydney, Dalara grew up with a strong involvement in her community and sports, including netball, softball, athletics, volleyball and many more. 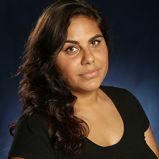 It wasn’t until 2010 that Dalara decided to give acting a chance by enrolling at Eora College in Sydney, where she fell in love with the craft.